Privakey solves the identity challenges that exist with Amazon Alexa and other voice-first platforms. We expand what’s possible for skill developers to build by assuring the identity of the user interacting with these smart devices. By combining the convenience of voice and the security of mobile device biometrics, Privakey enables brands to build more valuable Alexa experiences. Privakey enables you to know exactly who is interacting with a digital assistant so that you can build Alexa skills involving large transactions, sensitive information and personal data. 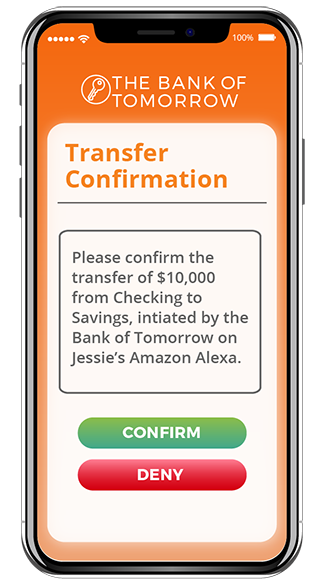 Your mobile app can be used to prompt customers to confirm a money transfer initiated on a device like Amazon Alexa. A simple push notification is sent to the user with details of the transaction, and with a biometric provided the users’ identity and money transfer are confirmed simultaneously. 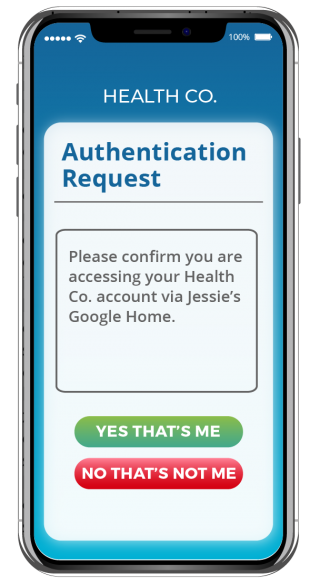 Customers can conveniently verify their identities before accessing a voice app that houses sensitive financial or health data. All they would have to do is request to open the app and a notification would be triggered to the users’ device where they’ll use their fingerprint or face to authenticate to the smart speaker. 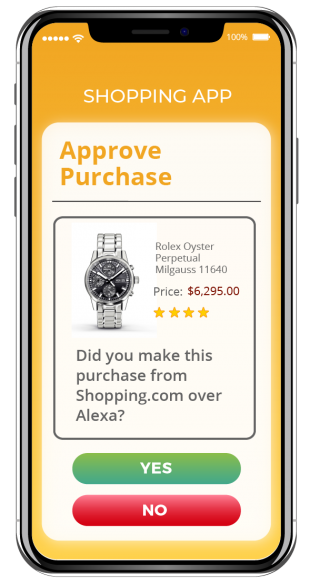 Once a voice purchase is initiated, an approval notification can be pushed to the user’s phone whose shopping account is associated with the Alexa. If it was really them, they’ll sign off with a biometric—if not, they can decline and tell their friends to stop messing around with Alexa! Let us help you create better voice experiences.